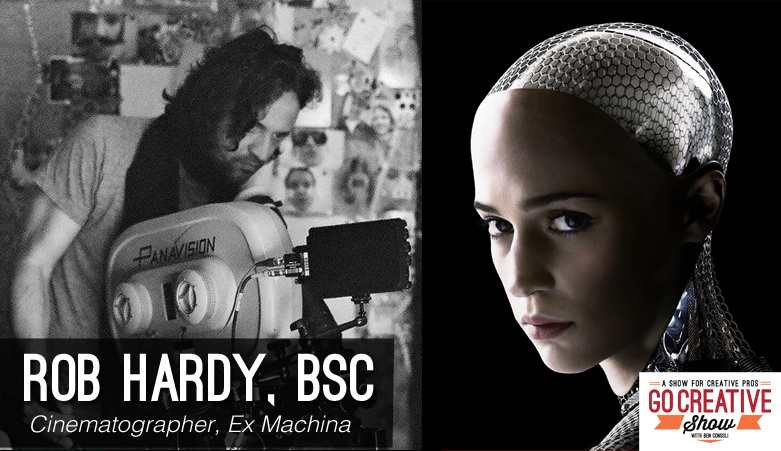 Today we speak with Rob Hardy, BSC, the brilliant cinematographer of the film Ex Machina. We discuss his lighting techniques, his decision to use the Sony F65 and all the subtle cinematic nuances that make Ex Machina one of the most human-centric science fiction films of our time. Rob Hardy, BCS is an award winning cinematographer of countless commercials, music videos and feature films and he’s here today to discuss his latest Sci-Fi masterpiece Ex Machina. We discuss his tungsten-based lighting design and the decision to shoot with the Sony F65, the delicate balance between visual effects and cinematography, using reflections to help tell a story, and all the subtle nuances that make Ex Machina a masterpiece.